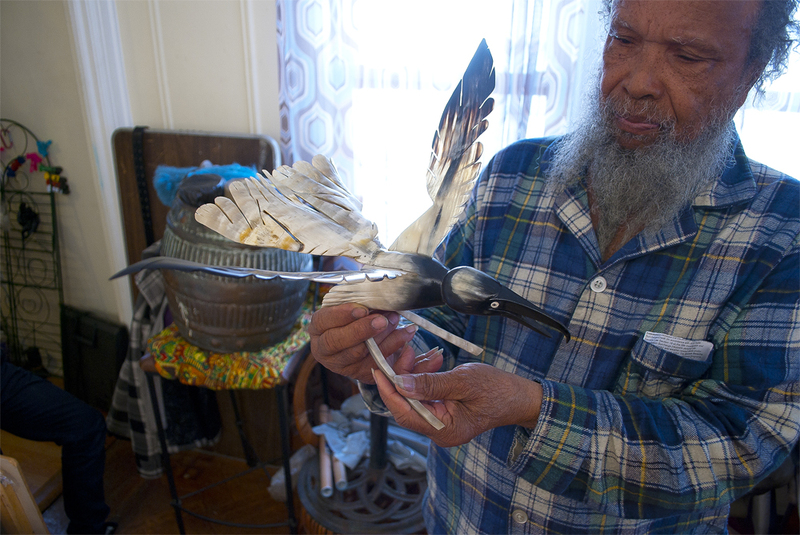 Approximate Dimensions: L: 8" H:9" Wing Span: 8"
These “Birds” are made from cow’s horn. Known as “Hornsmithing”, some of these pieces of sculpture take upwards of seventy hours or more to complete depending on the degree of embellishment. Much of this time is spent on tool-mark removal, angle beveling, scraping, sanding, polishing, etc. Handmade in Brooklyn by Winston - The Hornsmith, from Carriacou.